NASA Earth Observatory images by Lauren Dauphin data from DSCOVR EPIC and MODIS data from LANCE/EOSDIS Rapid Response. ISS Photograph by Alex Gerst, European Space Agency/NASA. Story by Mike Carlowicz. 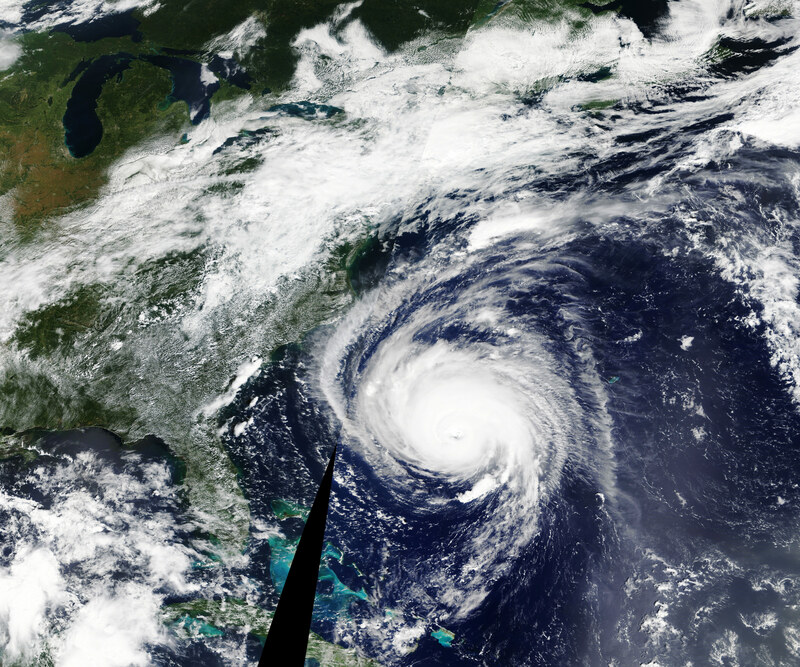 The Moderate Resolution Imaging Spectroradiometer (MODIS) on NASA’s Terra satellite acquired this natural-color image of Hurricane Florence just before noon on September 12, 2018. At 2 p.m. Eastern Daylight Time on September 12, the center of the storm was 435 miles (700 kilometers) southeast of Wilmington, North Carolina. 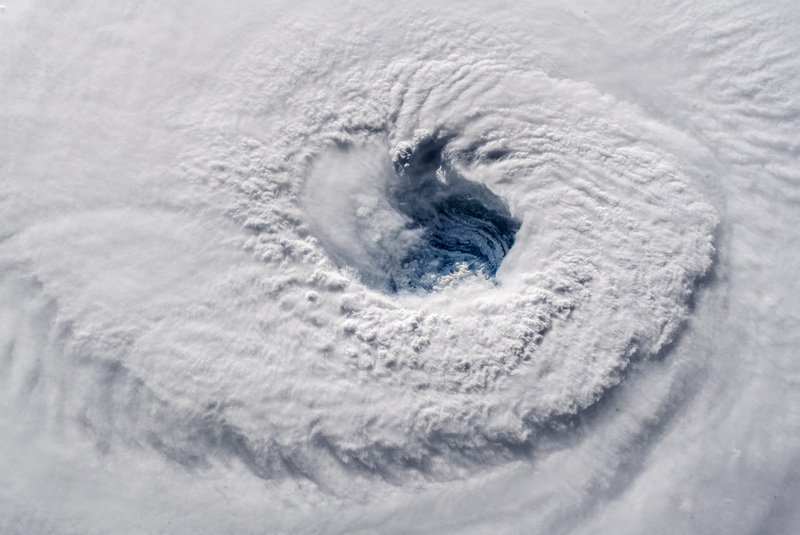 The National Hurricane Center and U.S. Air Force reported sustained winds of 125 miles (205 kilometers) per hour, with a central pressure of 948 millibars. Hurricane and storm surge warnings were in effect from South Santee River, South Carolina, to Duck, North Carolina. Hurricane and surge watches stretched most of the way from the South Carolina-Georgia border to southeastern Virginia. Early on September 12, astronaut Alex Gerst shot this photograph (above) of Florence’s eye as viewed from the International Space Station. He tweeted: “Ever stared down the gaping eye of a category 4 hurricane? It's chilling, even from space.” You can view more of Gerst’s photos in his flickr gallery. 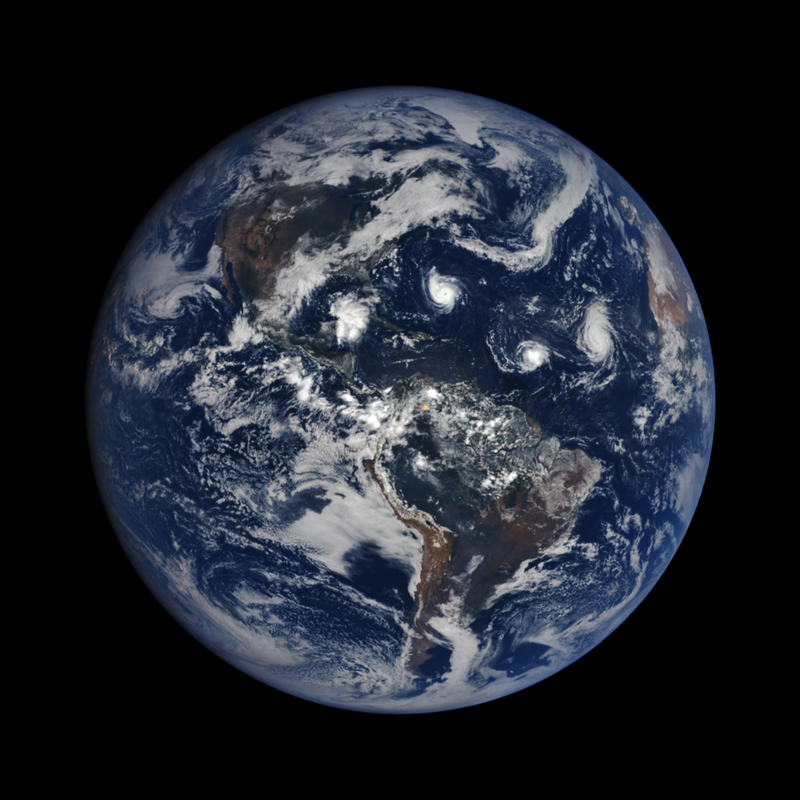 From a distance of 1.5 million kilometers (1 million miles) away NASA’s Earth Polychromatic Imaging Camera (EPIC) on the DSCOVR satellite acquired this natural-color view of Florence and two other storms marching across the Atlantic Ocean on September 11, 2018. Tropical Storm Isaac does not pack the punch of Florence, but it is expected to bring heavy rain and strong winds to Martinique, Dominica, Guadeloupe, and perhaps Puerto Rico. Hurricane Helene is a pretty strong storm that should churn up the North Atlantic for several days, but it is not expected to make landfall anywhere. 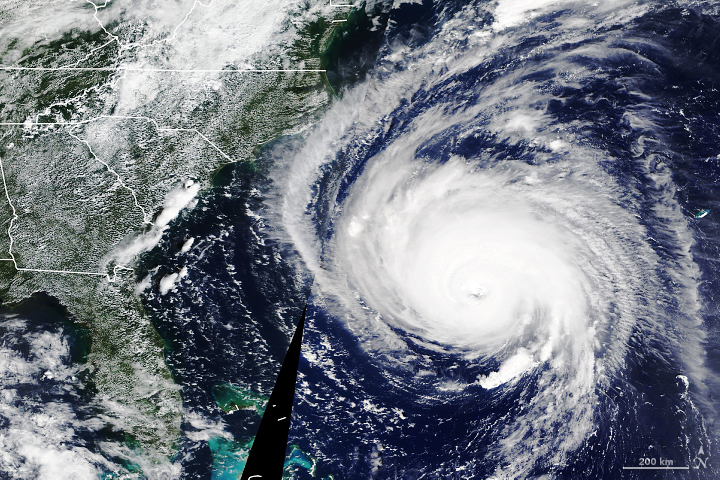 NASA’s Disasters Program has mobilized a team that will use NASA sensors to monitor soil moisture, soil saturation, and rainfall rates, among other conditions related to Hurricane Florence. During and after the storm, this team will produce and disseminate information about where satellites observe floods and other effects of the storm. 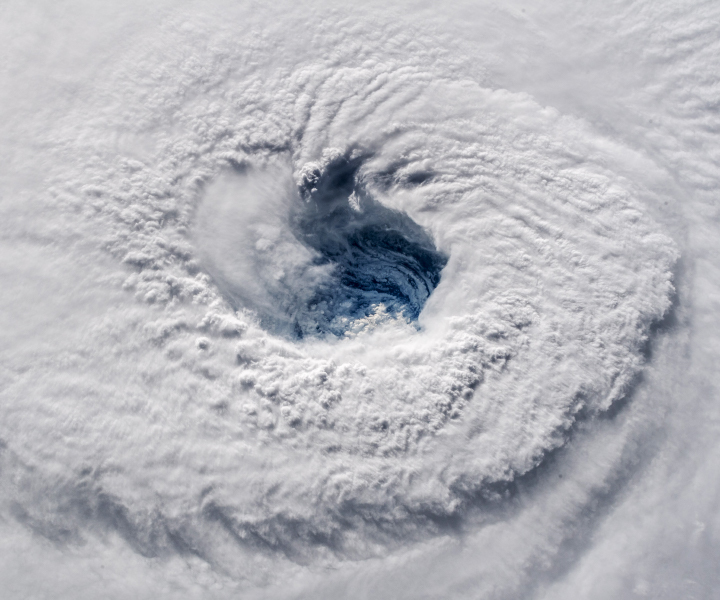 Click here to read more about the ocean conditions that are fueling the development of Hurricane Florence. Axios (2018, September 12) Hurricane Florence to cause “unbelievable destruction” in Carolinas.. Accessed September 12, 2018. Federal Emergency Management Agency (2018, September 11) Hurricanes. Accessed September 12, 2018. NASA Disasters Program (2018) Hurricane Florence 2018. Accessed September 12, 2018. 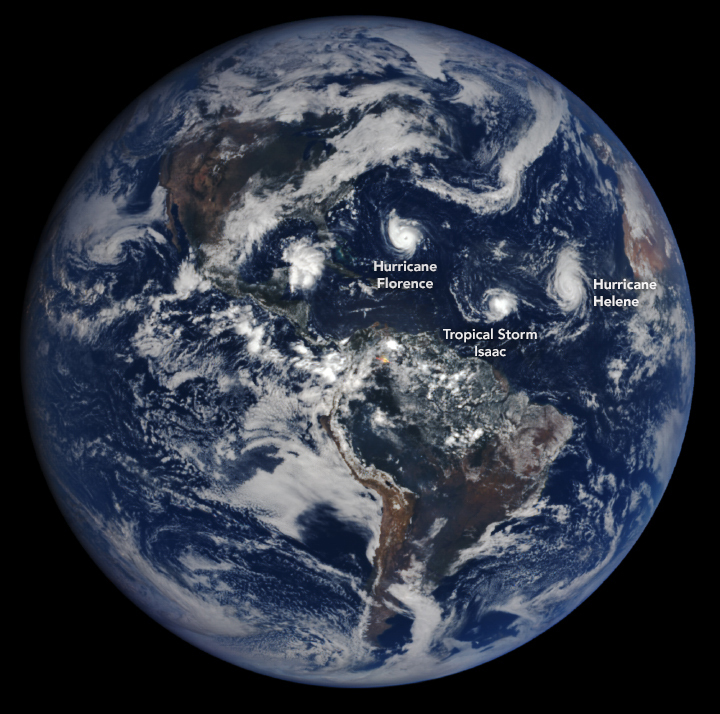 NASA Hurricanes and Tropical Storms (2018, September 11) Florence (was Potential Tropical Cyclone 6) 2018. Accessed September 12, 2018. NASA Earth Observatory (2018) Atlantic Hurricane Season 2018. National Hurricane Center (2018, September 11) Florence. Accessed September 12, 2018. Weather Underground, Category 6 (2018, September 11) Hurricane, Storm Surge Warnings Up for Carolinas; Florence May Stall Near Coast. Accessed September 12, 2018.